You are at the right place. Welcome. Pflüger TOB GmbH was founded in 2014 and specialises in the development and production of sustainable systems for thermal separation, construction, sealing, and insulation. With a young team of experts in every facet of construction, we want to accept the responsibilities of the energy revolution and develop solutions for saving energy worldwide. We are the right partner for timely and sustainable planning, development and implementation of solutions including residential and facade construction. Both our materials and our production processes meet high ecological standards. The highly-insulating, pressure and water-resistant materials we use are made with PUR or PET recyclates, and can again be recycled after their use. Additionally, numerous tests confirm the zero emissions of the materials during installation and later use. 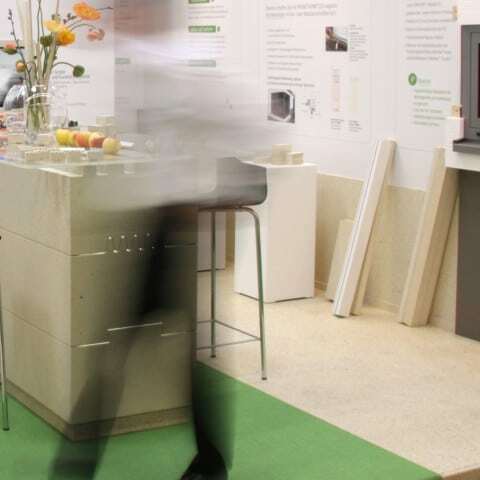 As an affiliated company of Pflüger GmbH Holz- und Kunststofftechnik (Wood and Plastics Engineering), we can rely on more than 40 years of production know-how and the experience of more than 50 employees. Our efficient processes ensure fast and precise proposal generation as well as timely delivery of your ordered product. Through our efficient ERP system with product configuration, we are flexible in responding to customer requirements and, at the same time, can ensure on-time and problem-free delivery of your product. It is our goal to fulfill your custom product design as well as all requirements along the logistics chain (custom packaging units, construction site supply, Private Label, etc.). Our customers are important to us. We take the time to truly understand your requirements, and then develop a sustainable solution accordingly. This is done in close collaboration with you and, if desired, on your site. Find your contact here.